Sweet, Crisp and Citrusy Goodness! 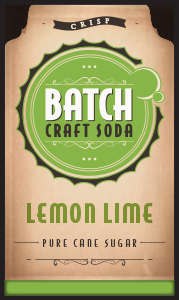 Batch Craft Lemon Lime Soda is bubbly perfection with just a splash of lemon lime in every sip. The sweetness of the natural ingredients combined with a quality hand crafted attention to detail has created this classic Lemon Lime taste.